If you are still spilling regrets over the things you didn't get on 11.11 sales, fret not! 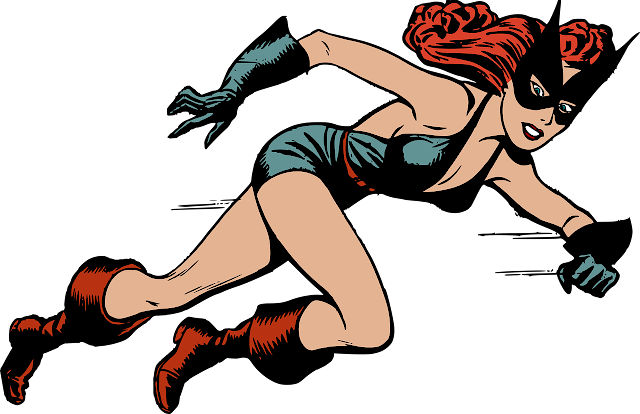 Because Cyber Monday and 12.12 Sales is here to save the day (but not your wallet..)! Black Friday and Cyber Monday sale used to be a thing that all Singaporeans wish for because of the major price slash, huge giveaways, and best time of the year to start buying a year-long worth of fashion and household items. Thanks to whoever, we finally get to enjoy this international "Sale Day"on and offline now in Singapore! 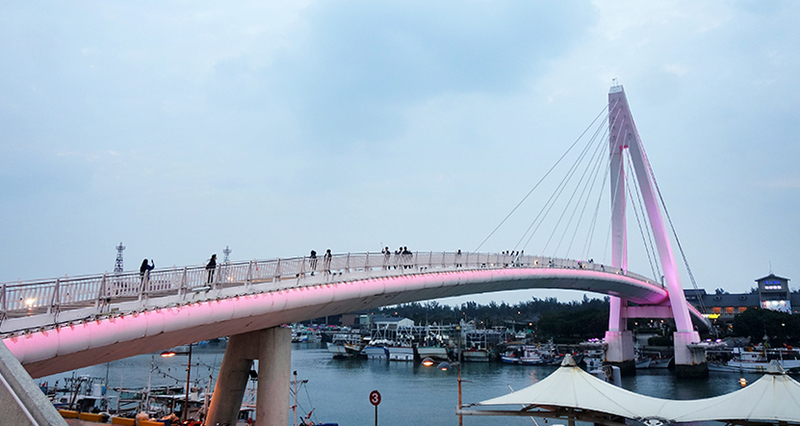 Read more about the Singapore sale scene over here. With Weddings and Chinese New Year celebrations coming up in my calendar, I think it's time to pamper myself with lotsa Beauty and Fashion Goodies! 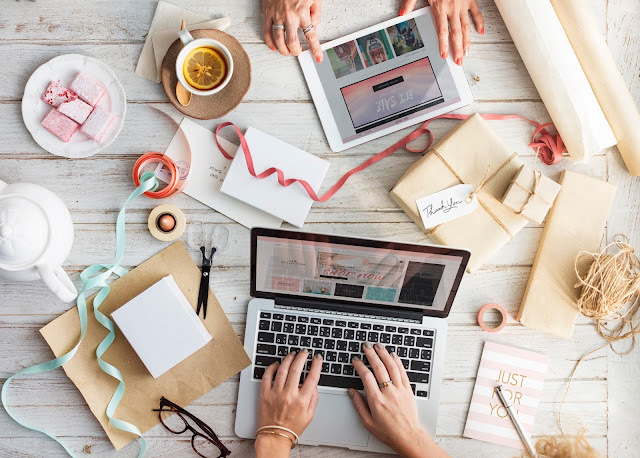 Here are some items on my list which I can't wait to drop in my Shopping Cart while enjoying Cyber Monday Deals on 27 November! BEAUTY: Storewide 10% off on Althea! FASHION: Get 20% off min. spend $100 on Zalora! FOR LE HUBBY: 20% off Everything on ASOS with Code: WIN20! It's discount + discount + cash back on SHOPBACK = MAJOR SAVINGS! If you are tight on Budget this month, not to worry because there are awesome 12.12 Deals coming up right after your payday! If you are ready for a MAJOR SHOPPING SPREE like I am, don't miss the upcoming ShopBack’s 12.12 Sale and Cyber Monday Sale!! My previous solo trip to Taiwan was more luxurious as I wanted a more fuss-free and worry-less trip, so I took EVA Air to Taoyuan, and took a NT$900+ taxi to Ximending, reaching there at 8+pm. But my 2nd trip was more economical because Dan and I had our tickets at 1-for-1 from Scoot December sale, totalling to S$473 round trip for both of us! We also did our research for economical way of transport to Taipei, which was to board the Kuokuang bus at NT$125/pax. 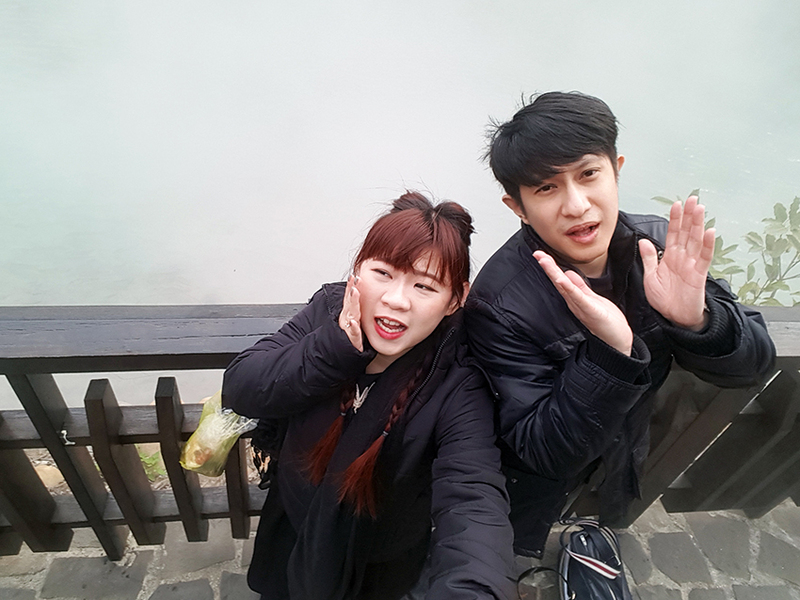 We didn't know that Taipei was experiencing cold stream that week, and the temperature was 11°C when we arrived at 5+am. So we were actually freezing while waiting for the bus outdoor. We even saw a Singaporean guy in berms trembling in the queue! Poor guy.. 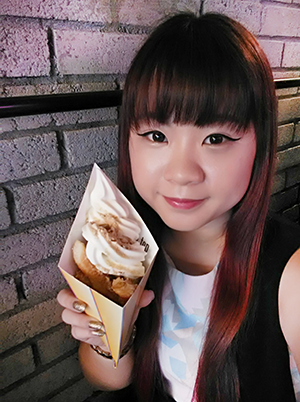 I personally really enjoy eating and resting on public transport, enjoying me-time (that's why I really enjoy train HSR rides! ), so the 1 hour breakfast and movie moments on the bus was pretty enjoyable for me! Finally reached our hotel (Ximen Hotel) at 8am, after almost 6 hours of travelling (Taipei to Ximen station by MRT). We were resting our tired souls at the lobby before heading out for a series of adventures! 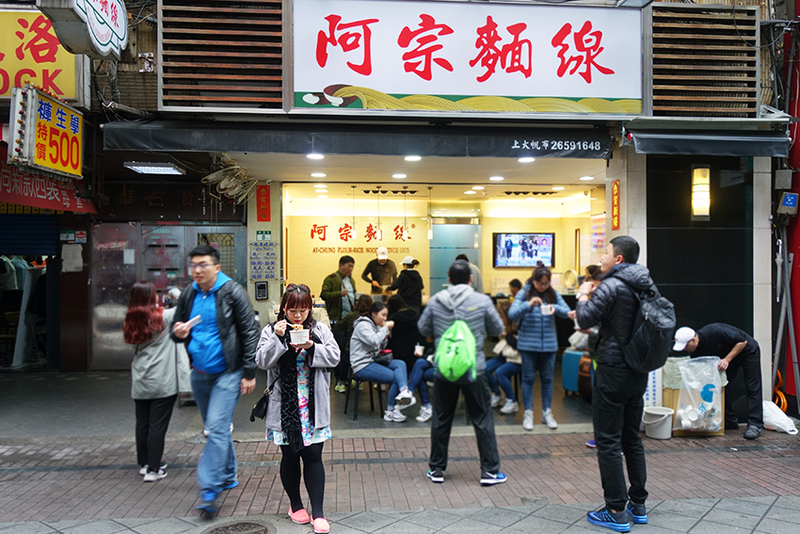 We waited till 9am to have Ah Zong Mian Xian (阿宗麵線) for breakfast! 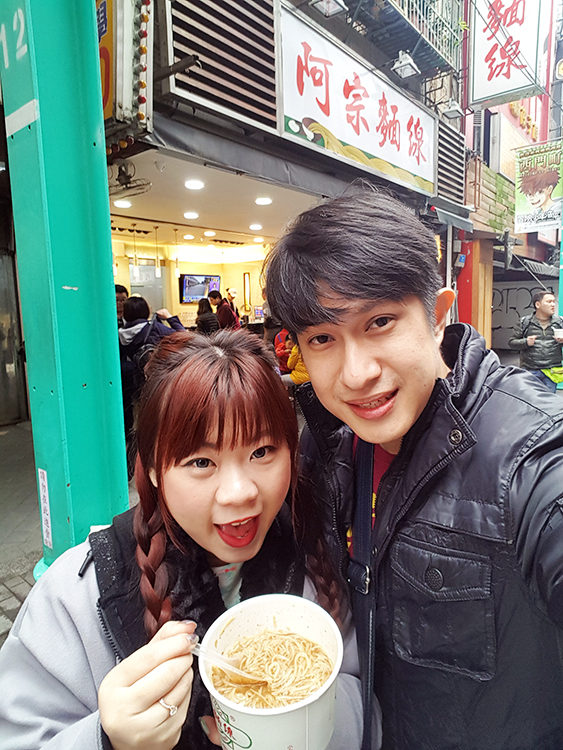 We had it for 2 mornings while we were in Taipei, and both times we ordered 1 large bowl at NT$60 to share. Because too much of something good, won't be as good anymore. We really love the chewiness of the pig intestines, and the DIY garlic-chilli combination that was so delicious! Totally not overrated at all! 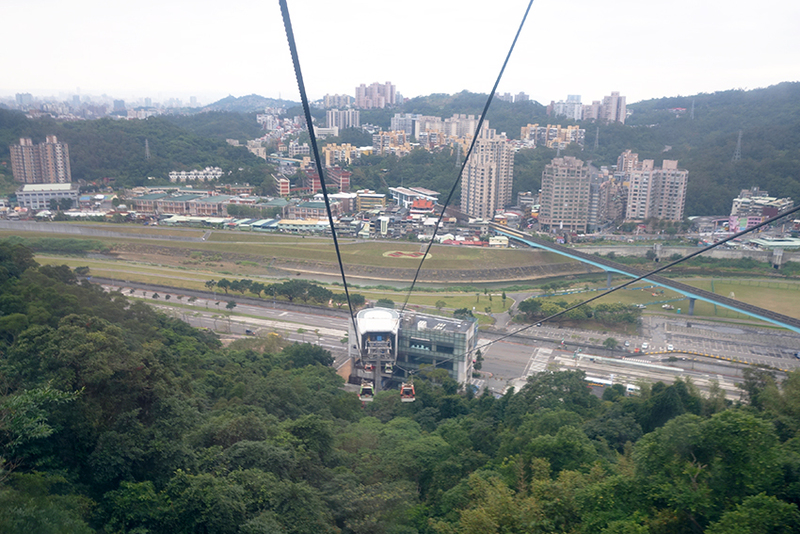 After breakfast, we head off to Maokong, in search for some great cable car experience! 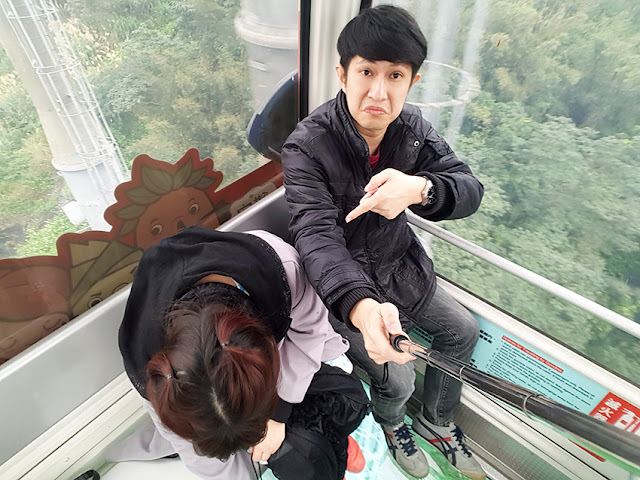 By MRT: Take Brown Line to terminus station, Taipei Zoo (動物園) and walk for 7mins following the signages to Maokong Gondola, the cable car station which brings you up to the peak of Maokong. 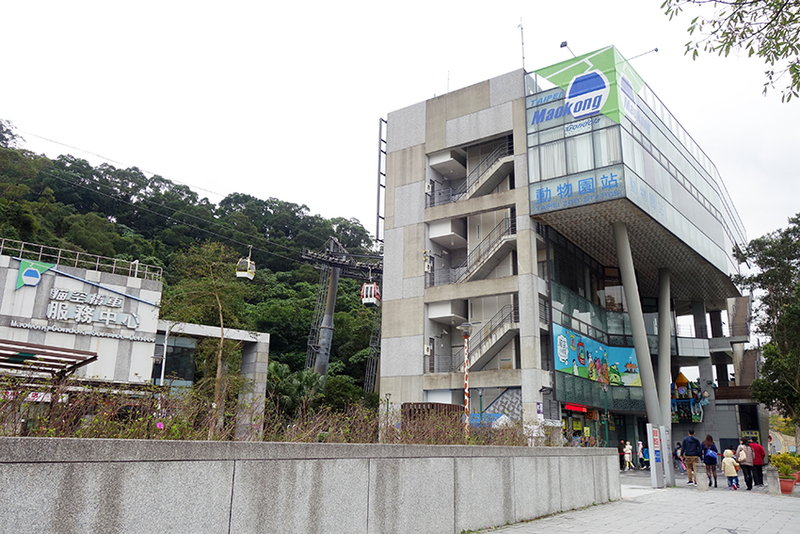 By Bus: Bus S10 operates between MRT Taipei Zoo and the peak at Maokong, with a stop at National Chengchi University 國立政治大學. 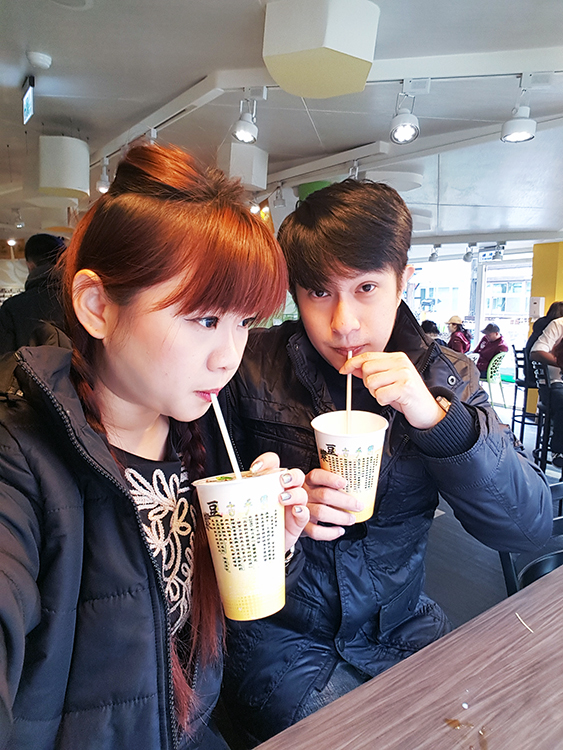 If you have a day or half to spare in Taipei, and not going for the rushing from point A to B to Z in a day kinda trip, Maokong is a place where you can relax, sip tea and enjoy a chillax day out. Note: If you are interested in visiting Taipei Zoo to see adorable Panda before visiting Maokong, entrance fee is only NT$60 for adults! The zoo is a few minutes walk from the station. 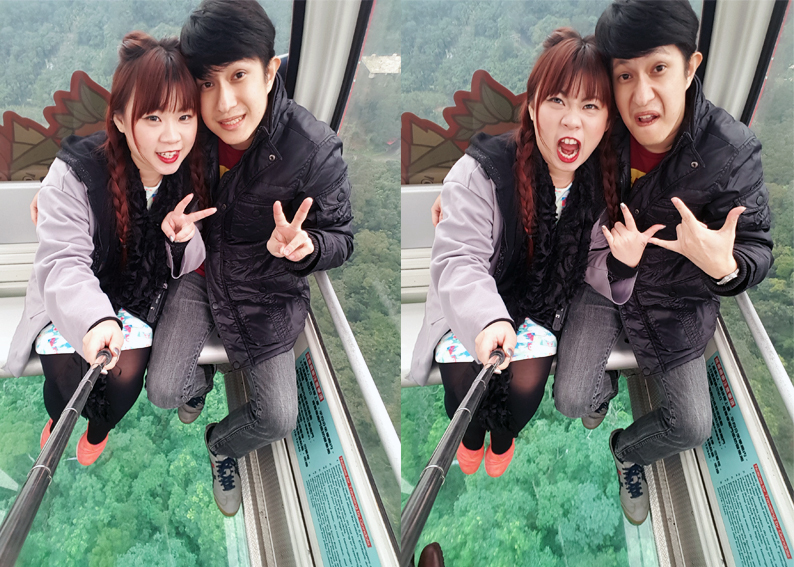 We came especially for the CRYSTAL Cable Car, so we opt for the Maokong Gondola uphill! 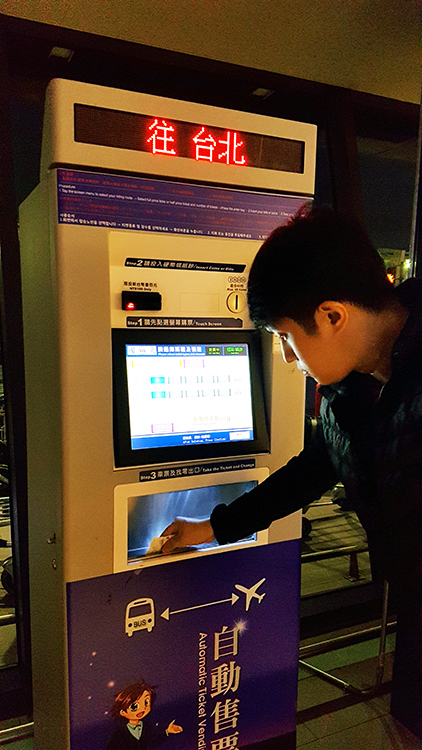 If you have EasyCard (悠遊卡), be glad to know that you would not need to queue for tickets, and you can enjoy preferential rate on weekdays at NT$100/way (U.P NT$120) from Taipei Zoo Station to Maokong Station (299.3m altitude!). 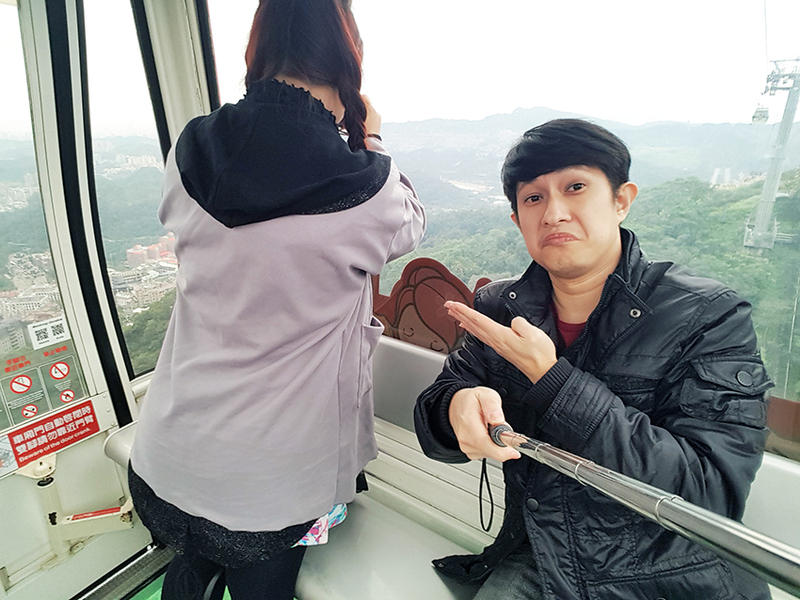 The queue for Crystal cable car was surprisingly not as long as the normal car as 1) not everyone is brave enough 2) the frequency is not as high as normal car. We waited for about 25mins for our crystal cabin, denoted by the vibrant red colour! 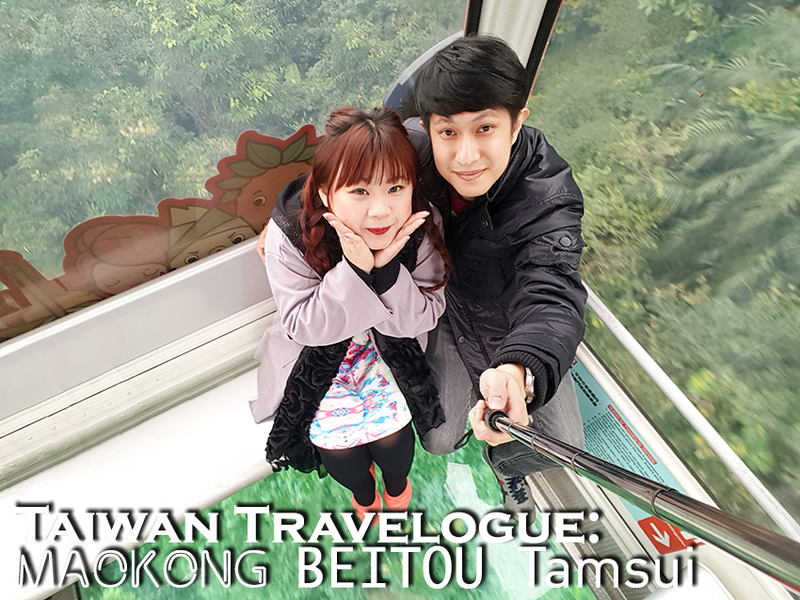 We shared the cabin with another Taiwanese couple, but tourists being tourists, we posed and took countless photos shamelessly in the cabin just because we were so excited about the whole experience! 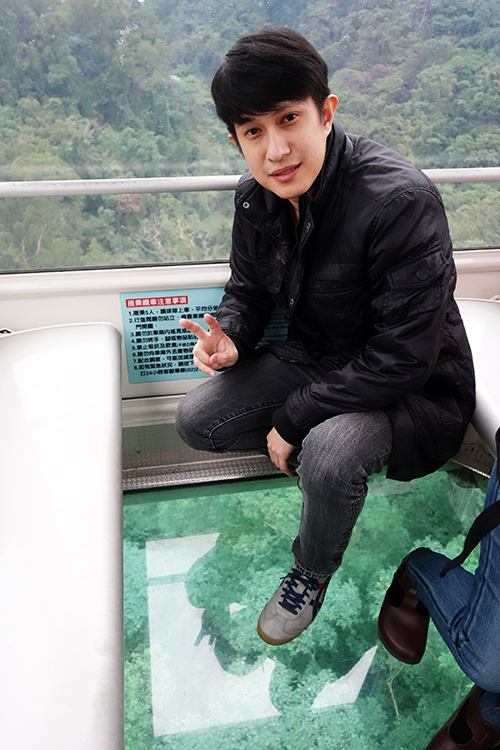 Mandatory tourist shot in the clear cabin! Here's a video of how spectacular (at least to us) the view from the crystal cabin was! And someone was not impressed.. 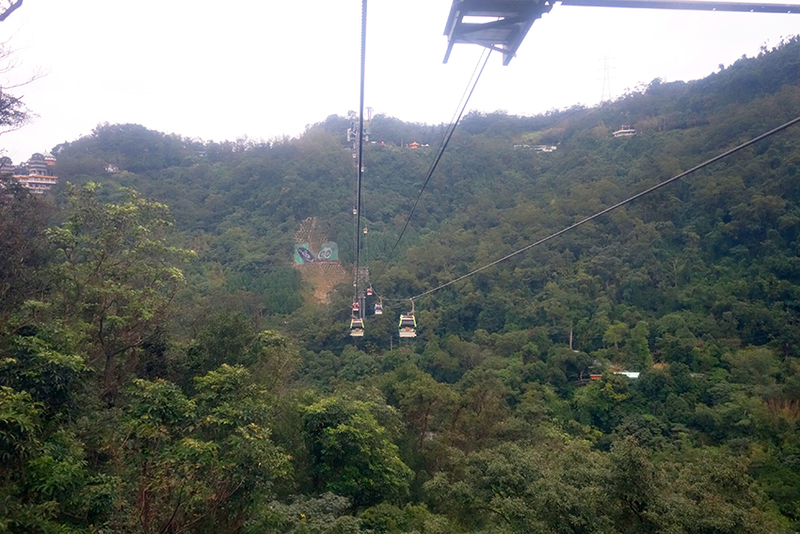 When we finally alighted at the peak, we were shocked by the sudden drop in temperature! 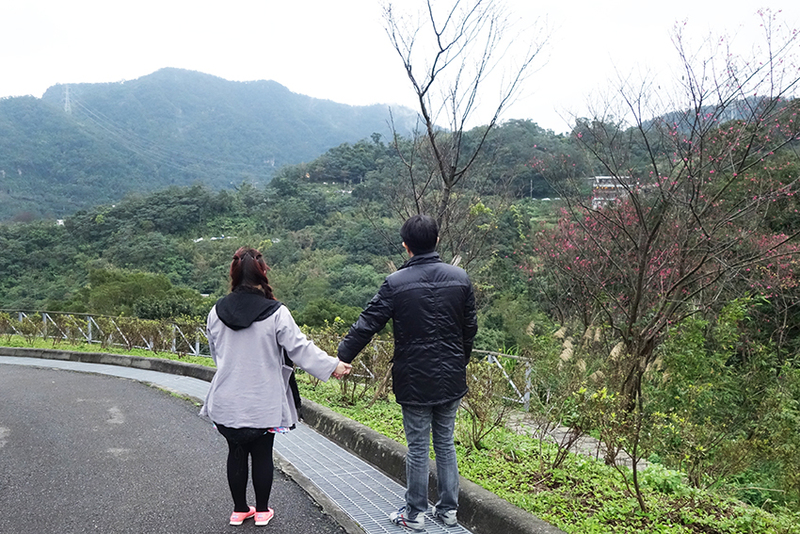 It was just 9°C at the peak with strong winds, and we were totally not dressed for it. But when we saw the tiniest bits of cherry blossoms, we went crazy! The most "anyhow" self-timer shot, cos my lightweight tripod was threatening to fly. With breathe vapour escaping from our mouths, we were in need of some comfort food! 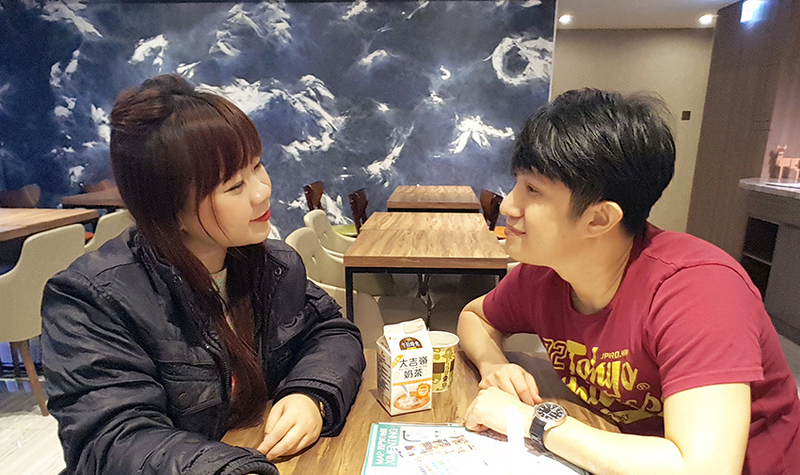 The only mistake we made at Maokong was to ignore the good food presented at this interesting food court, and chose to dine at the tea-themed restaurant. Nonetheless, we bought our favourite street snack (I think we had more than10 sausages throughout our 8days trip!) at 2 for NT$50 with addictive sweet chilli sauce to curb our hunger pangs. One of the most memorable street snack was the Scallion pancake with EGG (蔥油餅)! At NT$40 a piece, you'll get this awesome crispy oily explosive snack with a whole egg that is sweet yet savoury! Really yums! We would have bought a 2nd piece if not for the long wait in queue. 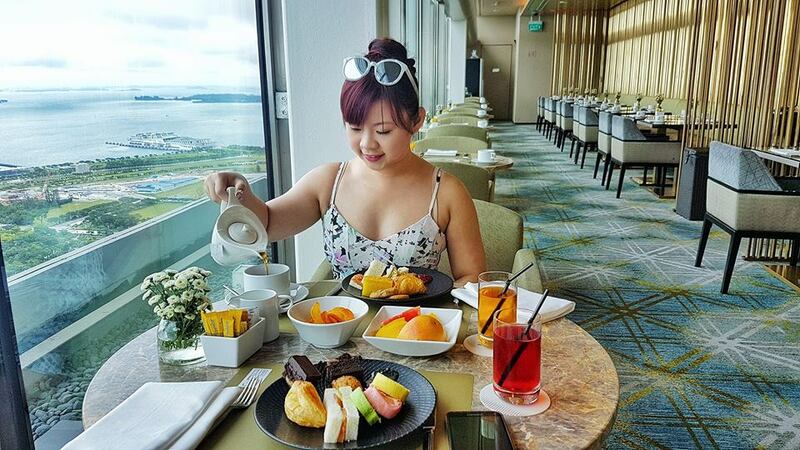 After passing the food court, you may walk straight all the way for rows of tea-themed restaurants and cafes that open mostly on weekends for some tea-appreciation meals and high-tea sessions. But if you don't know how to appreciate tea, I would not recommend you to visit these places as it can be quite pricey. Don't be like us who order a pot of Tieguanyin Half Chicken Hot Pot at NT$460 (most expensive meal we had in Taiwan! ), and was forced to finish the bland soup just because we spend so much on it. 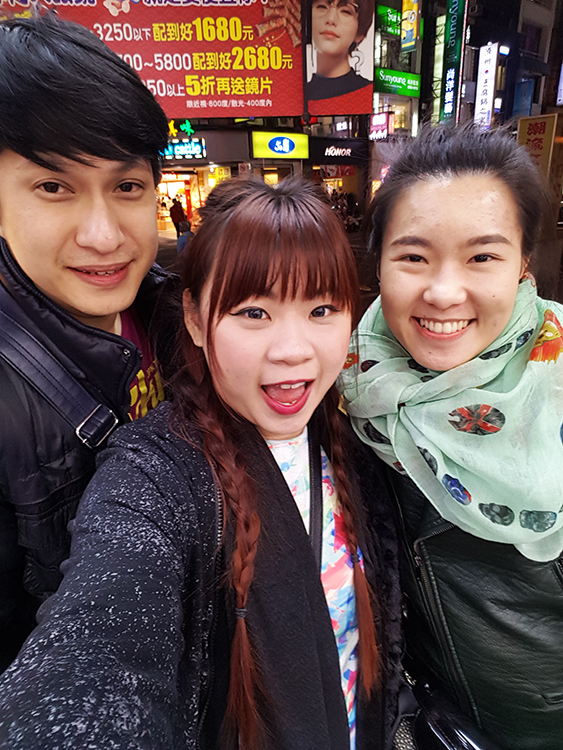 We ended our day 1 trip with some shopping and foodie time at Ximending, and as we were wondering if we should meet up with Kaile, who were also in Taipei with her friends, we bumped into someone familiar at an optical shop while choosing contact lens. Do you know how it feels when you are concentrating on acting "being paparazzi-ed", while your partner-in-crime is focusing on getting his full face shot? By MRT: Take the Red Line to Beitou (北投), then change to Pink Line to Xinbeitou (新北投). 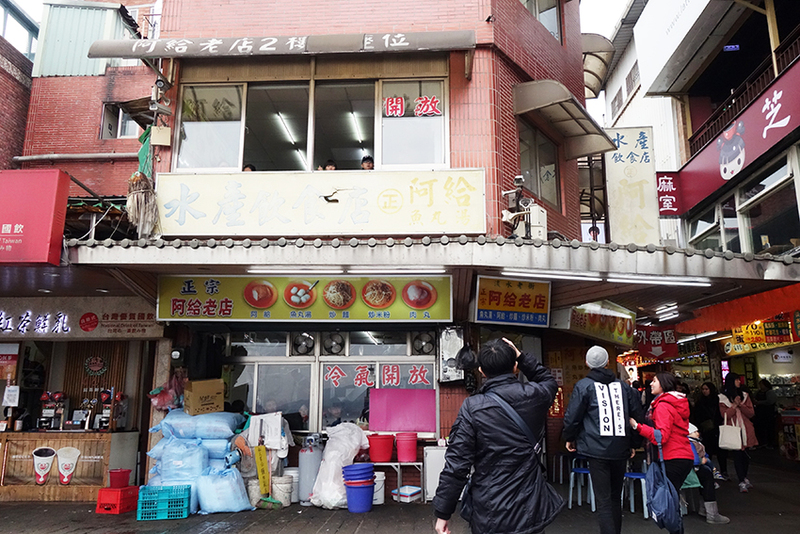 After arriving at Xinbeitou, walk straight out of the station and along Zhongshan Road (中山路). 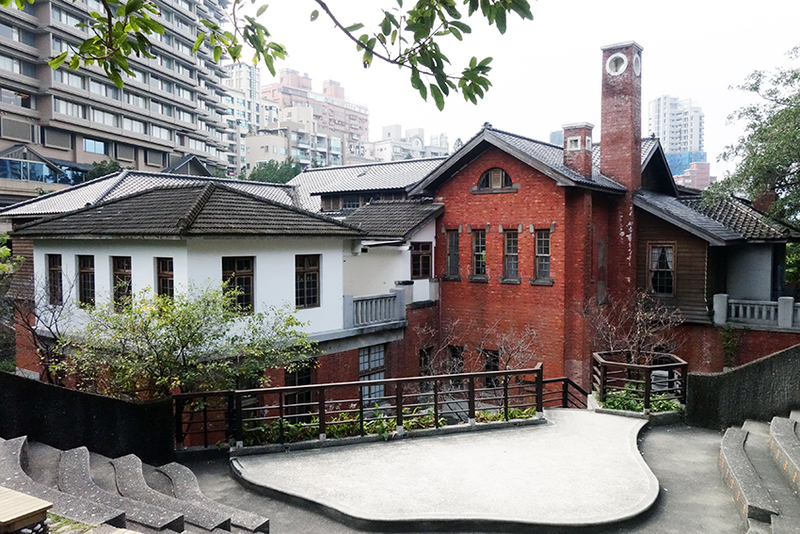 The museum is originally built in 1913 by the Japanese, and is now a Grade 3 historical monument. 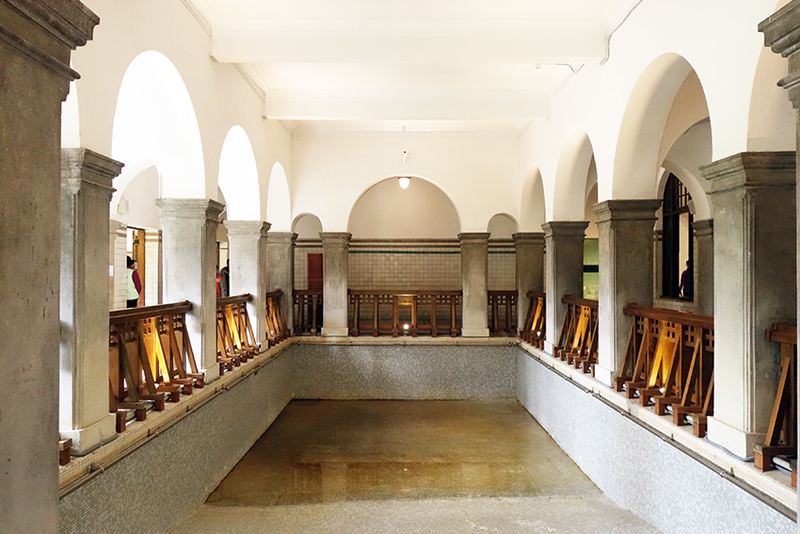 Entrance to the museum is free, and you will get to have a look and feel of the hot spring culture inspired by Mount Izu Hot Spring Bath in Japan, and reminiscent of a European/Roman bath house. There are many other historical exhibit which I'll let you explore on your own. 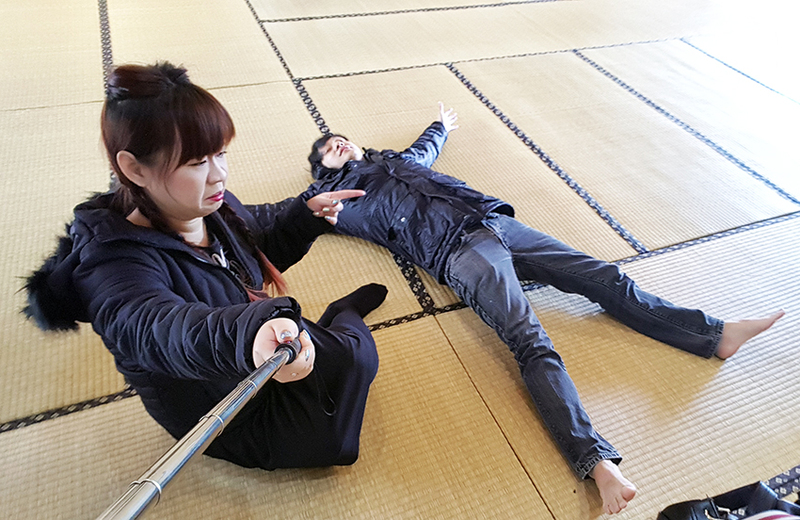 We were required to change into cute bath house slippers during our visit! The second floor of the museum houses the Tatami Lobby, a Japanese-style multipurpose room with sliding paper doors and tatami mats covering the floor for guests to relax here. Here's me revenging with my "not-impressed-at-all" look! 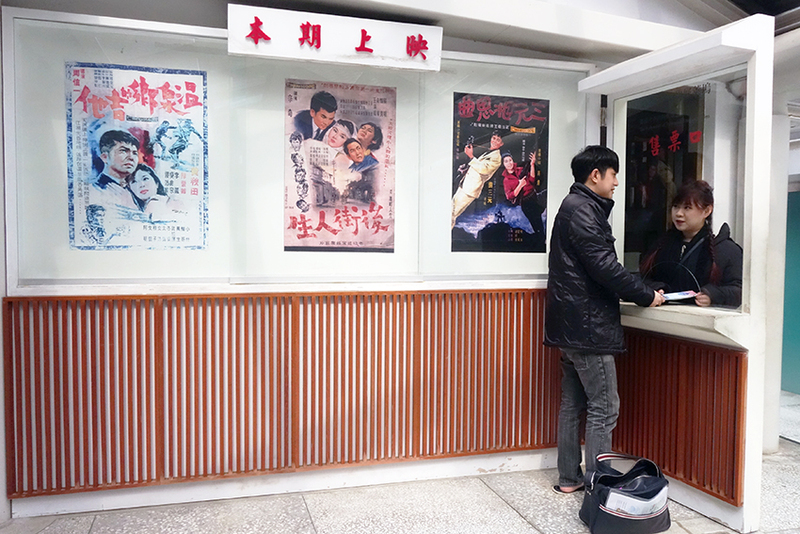 There was a small room showcasing old movies in Taiwanese history, and we were intricate by the old school ticketing counter here! We got warned after the 3rd take as tripod wasn't allowed in the museum. Oops! Being a typical Singaporean, not only did I felt the obligation to take this photo because everyone who visited the museum does, I was also worried about the possibility of mosquito breeding in this big pool of filthy water! On our way to Thermal Valley, we chanced upon this random natural tiny waterfall along the way..
Another spot that could make you stare in amazement on the surprises that nature is presenting you with. 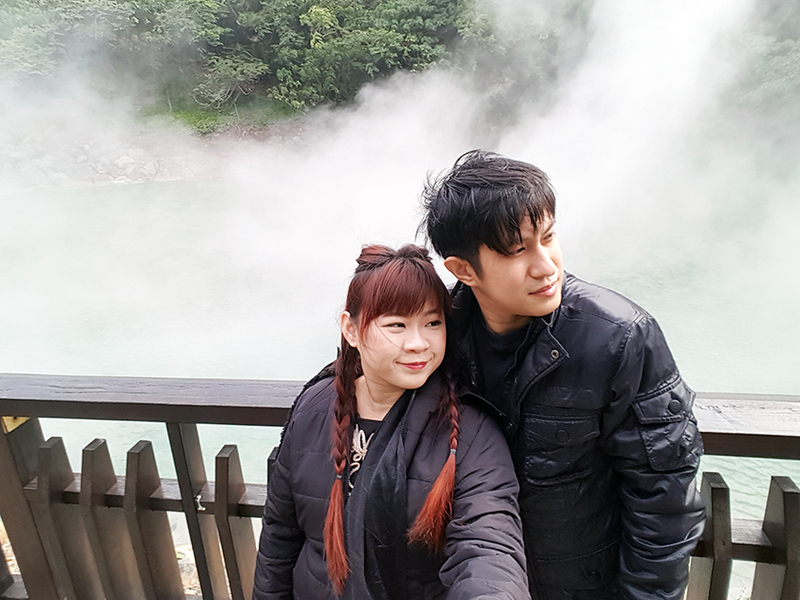 We stayed there for about half an hour, admiring the thermal steam changing in different shapes and sizes as the wind blows in different directions. 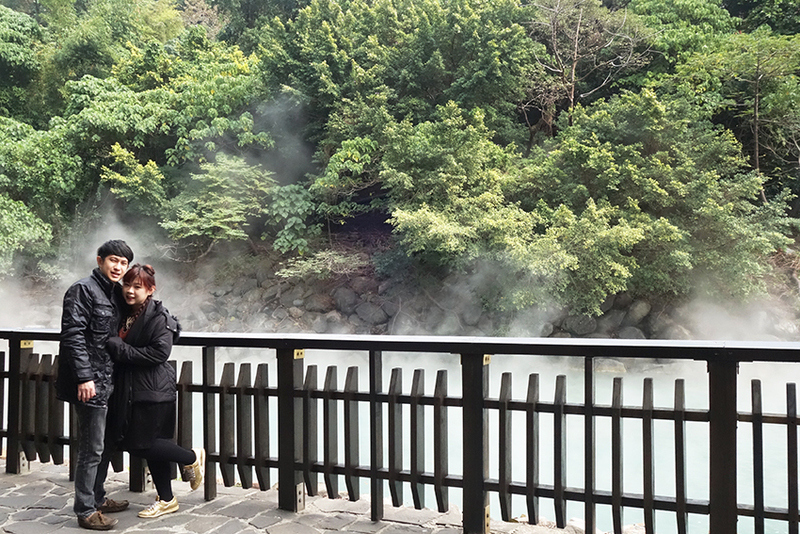 The green sulfur hot spring is highly acidic with a pH level of 1.2 - 1.6, with temperature ranges from 80°C to 100°C! I believe style bloggers would definitely love this place for their #OOTD, #LOTD, WIWT etc. shoot. 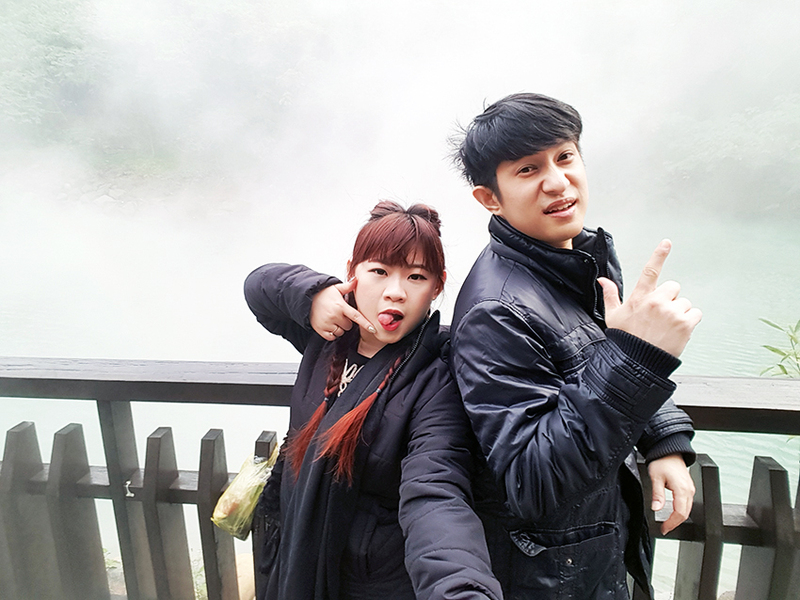 Even commoners like us couldn't help by posing in various wacky poses to make the visit worthwhile! When the steam got too hot to handle.. When the couple ran out of ideas.. 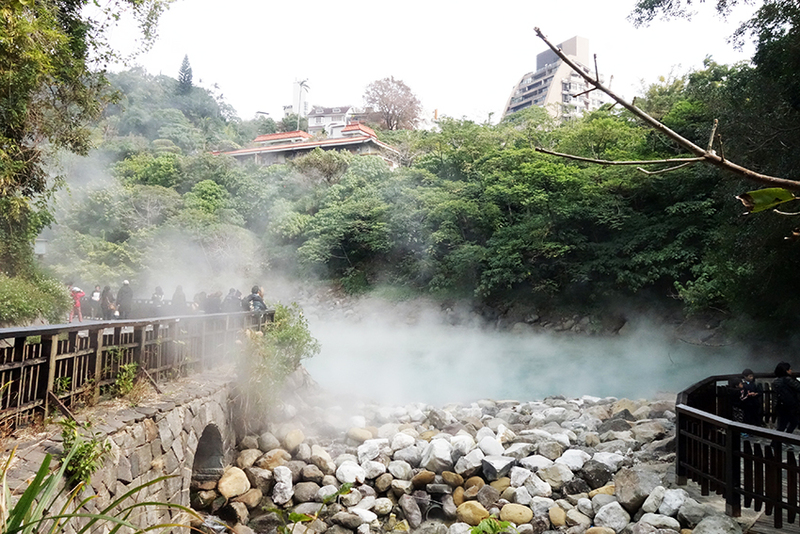 If you want to experience Beitou hot spring but not ready to pay a high price for a hotel night stay, do check out the public bath house, Millennium Hot Spring, located adjacent to Plum Garden at just NT$40/pax. There are 4 different pool with different temperature, where the top pool is scorching hot, and the lowest one is the coolest. Dan went in for a 15mins dip while I continue to roam around the retail shop nearby. Proper swimwear is required, so do remember to bring them along if you want a dip! 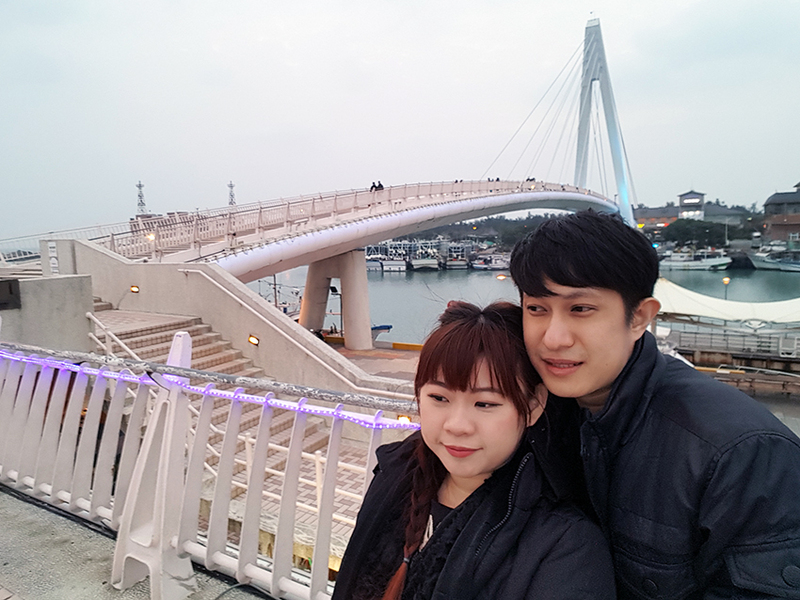 By MRT: Take the Red Line from Beitou (北投) to Tamsui (淡水) station. 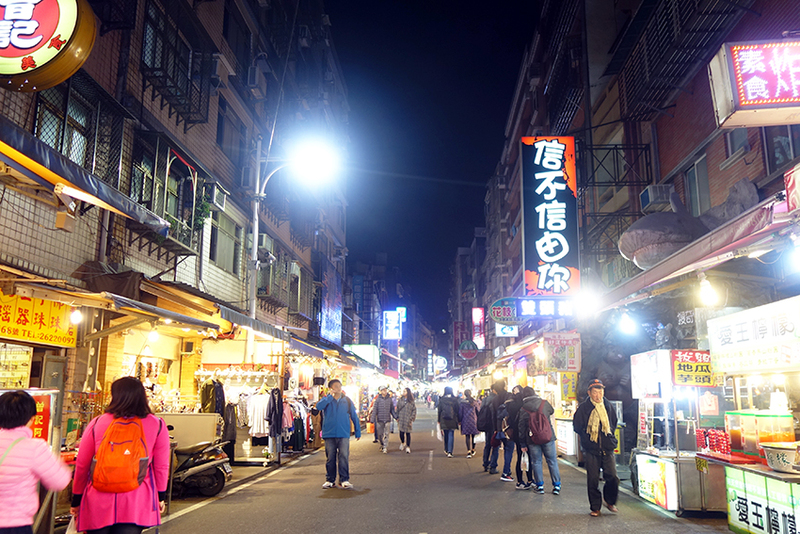 After arriving at Tamsui, walk straight out of the station to Tamsui Old Street. If you are in Tamsui in the afternoon, I would suggest to visit Fisherman's Wharf (淡水漁人碼頭) first as the shops there close early, and the last boat leaves at 5pm. We were too late, and had to take a bus from the empty "island" back to Tamsui Old Street, which is quite terrifying. Tickets are sold at NT$60/way, do check with the counter staff which pier to queue for your boat so that you don't rush to it last minute, or risk missing it. As Fisherman's Wharf is surrounded by sea, naturally it'll be colder near evening. 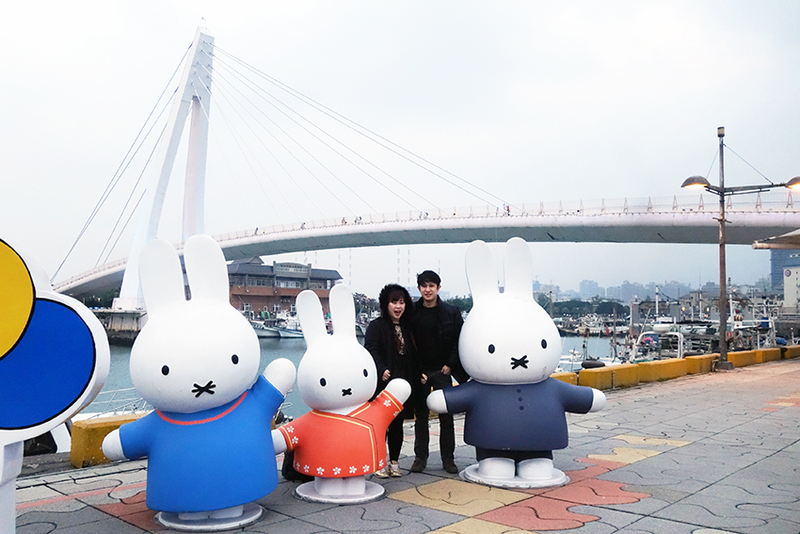 As usual, we were risking the lifespan of my camera on the lightweight tripod (it did fell once, breaking my heart in pieces) for this photo with the adorable Miffy family! 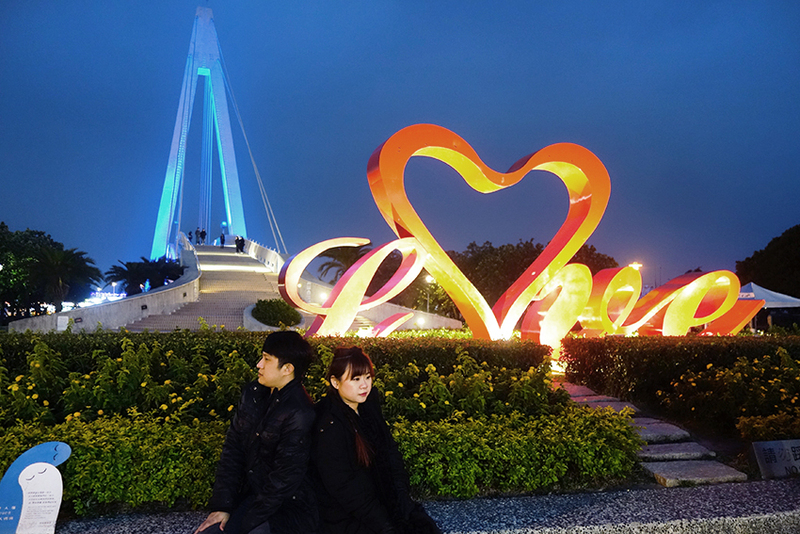 Another photo spot on Dan's checklist was this LOVE logo. The sky was getting really dark by 6pm, so this was our best shot! 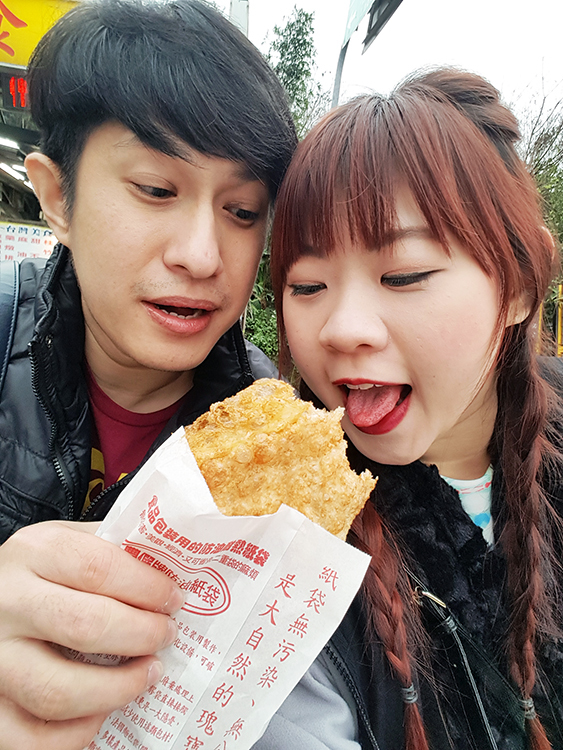 We made our way back to Tamsui Old Street safely via bus, and we spent some of our travel expenses on the snacks as souvenirs for our friends and families here. Most blogs will recommend you to try Ah Gei (阿给), which a squarish beancurd with cellophane noodles (dong fen) in thick sauce at Tamsui. This is one of the most recommended shop to try old street snacks such as handmade fishballs and meatballs! Before we left Tamsui, we saw some life-saving accessory, which was the face masks! We had been looking for them since we touched down, and thanks to Dan's sharp eyes, we managed to purchase these cute puppies masks at NT$50! 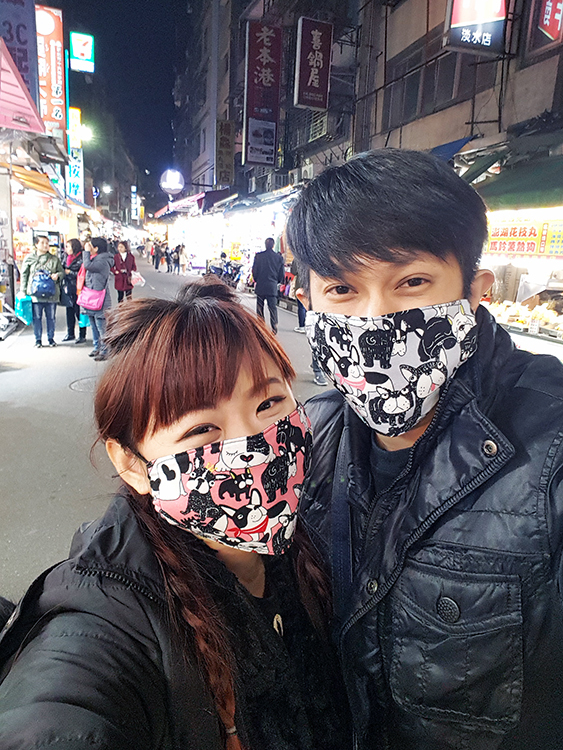 However, I realised no matter how hard we try to smile, we would never look friendly with these face masks on..
That's all for Day 1 and 2 of our Taiwan Adventure, do check back for more Taiwan Travelogue soon!